For plants, light is a signal that carries information about the environment, and a source of energy for photosynthesis. 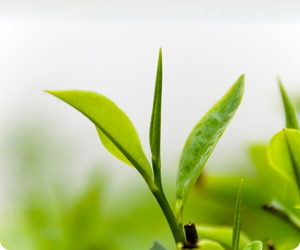 PHYTOCAL focuses on the interaction between phytochrome signalling and photosynthesis, and seeks to understand fundamental processes that make carbon (C) and nitrogen (N) resources available for plant growth. These unexplored connections underlie plasticity, which contributes significantly to yield variability in the field. Phytochrome photochemistry is exquisitely tuned to detect spectral changes indicative of nearby vegetation. This light-activated surveillance mechanism initiates changes in plant architecture, biomass formation and the timing of reproduction: traits that are strongly linked to crop yield. These changes in growth strategy require corresponding adjustments in resource deployment, yet we have no understanding of how this is accomplished. PHYTOCAL builds on new research from the partner labs showing that cross talk between phytochrome and carbon signalling is central to C resource use efficiency and resource conservation. A principal aim will be to determine the role of phytochrome in C resource management. PHYTOCAL will also delineate the genetic basis and impact of shading-induced N re-allocation in canopies. This trait strongly impacts on N use efficiency and stand photosynthesis, and in many crops is closely linked to yield. PHYTOCAL will conduct a systematic study across scales, delivering mechanistic information about signal integration, time-resolved transcriptome and metabolite profiles, and quantitative information about biomass accumulation, defined as the flux of carbon to protein and cell wall components, and growth dynamics. The experimental findings will be integrated into models to test hypotheses and to gain understanding at a system level. An aim will be to build models that predict the dual action of phytochrome and photosynthesis on resource management and biomass production. PHYTOCAL will run parallel work programmes in the reference species, Arabidopsis and the closely related crop Brassica rapa. The rapid life cycle and larger resource pool of the reference species will enable us to accelerate knowledge acquisition. B. rapa brings the advantage of larger size, and allows new insights to be directly applied to a food crop.